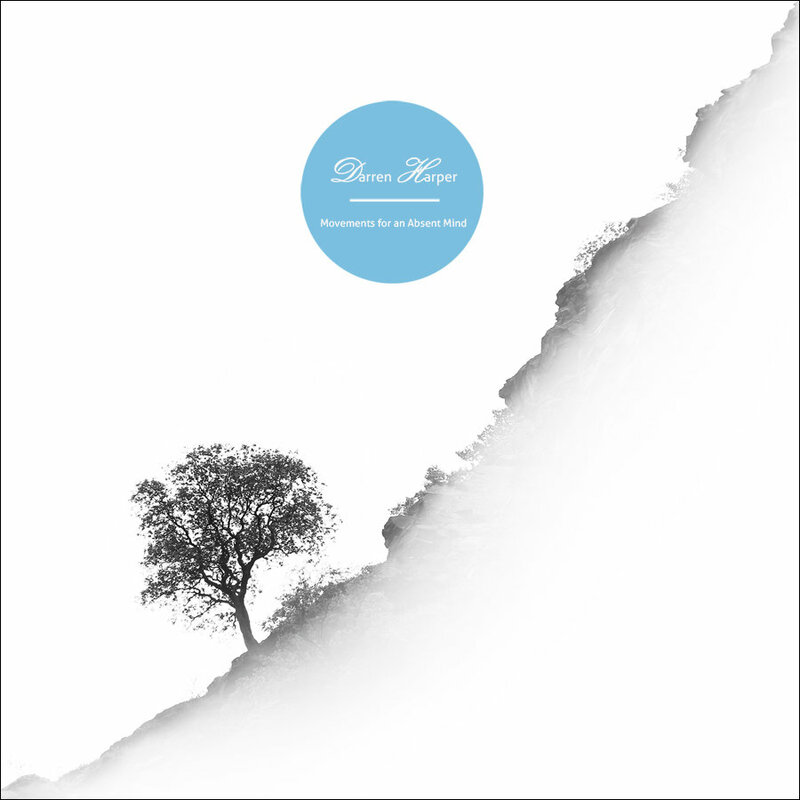 The latest release for Soft Recordings offers us the latest release from ambient musician and composer Darren Harper. ‘Movements for an Absent Mind’ features Harper weaving together beautiful compositions, all structured around subtle movements that encompass everything that one would enjoy from ambient music. Harper’s music seems to build up very slowly and carefully, allowing the music itself to really express itself without forcing itself upon the listener. At times, ‘Movements For An Absent Mind’ comes across as an effort structured only for a full-album experience, though there’s still some very enjoyable elements to the album itself. ‘Movements For An Absent Mind’ comes across as a very strong release for Harper. The album itself uses guitars, tape machines and computer software to build up the subtle ambient textures heard in the album. It works very well, showing some brilliant creative talents from Harper himself. The album itself features a wonderful lulling quality, with it being a perfect ambient experience to simply switch on and forget about life for a little while. Nothing on the album feels forced or insisting, allowing one to simply let the music occupy the background, whilst still enjoying the music itself. There’s many enjoyable elements to Harper’s latest album, which is certainly a strong album to help push off Soft Recordings as an ambient record label. It’s a bit of a shame that the album itself is so tightly packed together, with roughly an hour’s worth of music being spread across just three tracks. There’s little room to select specific moments and enjoy them separately from the album itself. Everything feels like it’s been almost forced into a full-album experience, and only a full-album experience. Despite this, the album itself still comes across as a very strong album experience. Darren Harper’s ‘Movements for an Absent Mind’ might have a few flaws structurally, but musically the album is beautiful and rather subtle for the most part. Harper allows his own ambient textures to build up slowly, allowing his musical world to slowly evolve into the beautiful music it all becomes. It’s a very strong album, and another great release for Soft Records who certainly seem to be paving their own way as an ambient record label. There’s a lot on offer here, and hopefully we’ll get to see more music of this caliber from this new and upcoming label. Darren Harper’s latest album ‘Movements for an Absent Mind’ is out now. American folk-rock artist Elisabeth Corrin Maurus, known better as Lissie, has been making a storm with her wonderful and energetic live concerts. Lissie’s concert at KOKO saw the singer diving headfirst into a wonderfully pumped up show, where there was tons of attitude everywhere you looked. The live concert in support of Lissie’s most recent album ‘Back To Forever’ featured the singer performing many of her new tracks, as well as some old favourites from her debut album. The whole concert came across as a rather intimate performance, with Lissie clearly enjoying the work she does, and making sure her audience enjoys it just the same. Even with a somewhat small venue, Lissie clearly packs in the same amount of care and attention than she would for any audience of any size. The whole concert packs an incredible punch, as Lissie churns out rocker after rocker after rocker, only ever pausing to either switch over to a differently tuned guitar, or drink the occasional gulp of vodka. There doesn’t seem to be any stopping for the singer, who manages to pelt out track after track, filling the room with a buzzing energy in every song. The set-list for the show contains a wonderful selection of tracks, featuring the best songs from both albums. What’s of key interest here though is how Lissie manages to present the songs from the first album with the same energy and passion as her new songs. Everything feels much more older, mature and full of attitude. And it’s hard not to like. Lissie’s concert is essentially everyone one would want from a performer such as her. A lovely intimate gig where the audience has love and respect for the performer, who in turn has a lot of admiration for the people who have come to see her perform. It was easy to see in Lissie’s performance how much she was enjoying the show, as she managed to pack in such a tremendous amount of energy, all the time smiling with each and every song. One couldn’t ask any more of Lissie, who managed to put on one hell of a show, especially in such a small venue. It’s plain to see the appeal of a singer like Lissie, who manages to throw her own slant into the whole singer/songwriter genre. The tracks themselves are full of fun, and sound brilliant within the live setting. The whole set-list in particular showed a great selection of tracks, where each and every song flowed into each other comfortably, sustaining the energy that Lissie built up with her performance. Particular highlights included the energetic performance of ‘When I’m Alone’, and the full-of-attitude ‘Shameless’, as well as an interesting cover of ‘Pursuit Of Happiness’ by Kid Cudi, which saw Lissie reworking the song into her own rock style. It was certainly a great way for Lissie to end her show. Post-rock outfit from Leicester, UK Maybeshewill offer their latest full-length studio album ‘Fair Youth’. The new album seems to be a much more elegant and somewhat more gentler affair than the bands’ previous output, offering up more refined and calmer post-rock tracks. The new album seems to be another step forward for the band, who manage to showcase some new ideas and new themes that we might not have seen before. The whole album effort comes across as a very interesting and highly enjoyable post-rock album, showcasing the band as one of the more stronger acts working within the genre. ‘Fair Youth’ benefits from its much more subtle approach to the genre. The band employ some interesting techniques and ideas to give much more depth and quality to the music itself. At times, ‘Fair Youth’ delves into the noisy crescendo elements we often hear within the genre, though the album isn’t dominated by this simple technique like so many others are. Instead, the album seems to develop in a much slower and calmer way, allowing the music to really express itself. ‘Fair Youth’ comes across as one of Maybshewill’s finest album efforts, with each song contributing brilliantly towards a wonderful album experience. There’s a great amount to enjoy on ‘Fair Youth’, which is arguably one of Maybeshewill’s finest albums thus far in their career. The album is perhaps let down by the moments where Maybeshewill delve into traditional post-rock elements, after wonderfully demonstrating more uncommon techniques. Whilst the techniques certainly work well for the band, it feels a little bit too easy, as though the band aren’t putting as much care and attention into the tracks as they have done on the album’s highlights. To some fans, these are the more enjoyable elements though, and they certainly have their place on the album in some respects. There’s a chance Maybeshewill could polarize some of their audience with the release of ‘Fair Youth’, though it’d be very odd if fans of the band don’t find something to appreciate about the new album. The whole album works wonderfully, weaving together beautifully composed post-rock tracks, and throwing in some larger much grander moments to keep things a little pumped up. The album comes across as one of the better post-rock efforts, showing a slightly new side to Maybeshewill as a post-rock band, and suggesting that there’s lots of great things to come from this creative act. 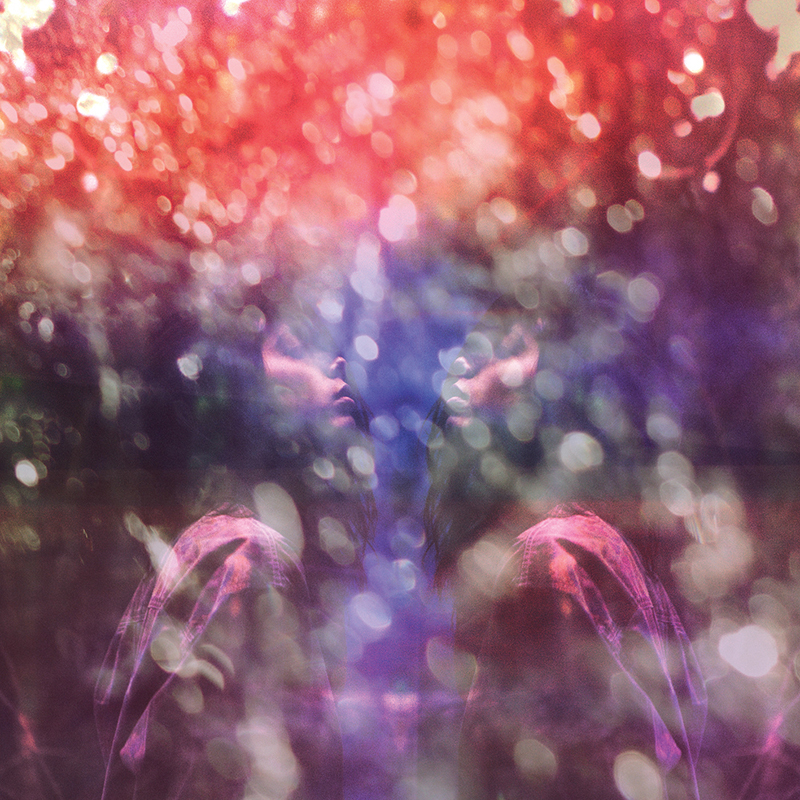 Maybeshewill’s latest album ‘Fair Youth’ is out now. 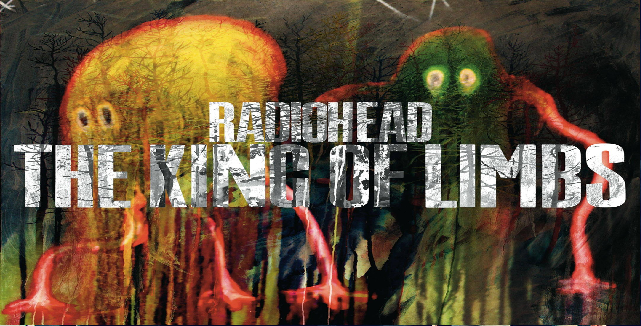 Whilst Radiohead’s ‘The King of Limbs’ might have been a rather polarizing album when first released, featuring unusual musical techniques and motifs even for Radiohead, it seems the tracks featured on the album find themselves at their best in the live context by the band. Radiohead’s performance at the 02 Arena certainly featured a very unusual selection of Radiohead tracks, with there being very few fan favourites, though the performance still sticks out as a wonderful representation of what Radiohead are capable of. The concert itself showed new majesty and life in some tracks we might not pay much attention to. Much of Radiohead’s performance was a rather dark and almost macabre affair, with many tracks contributing towards this rather unsettling atmosphere. Although somewhat unsettling at times, there was an incredibly refined performance from the band, who managed to get everything they pushed out sounding as perfect as it could possibly be. The set-list was certainly an odd selection of tracks, featuring mostly new compositions from the band, and very little that could be deemed as ‘popular’. Not to say that it wasn’t enjoyable though. Radiohead’s technical performance was near perfect, with tracks such as ‘Bloom’, ‘Myxomatosis’ and ‘The Gloaming’, (which are somewhat uninspiring tracks on their albums), actually became some of the highlights of the concert. A few surprises included were the performance of the non-album track ‘These Are My Twisted Words’, which sounded even better than its original recording. On top of that was one of the most beautiful renditions of ‘Pyramid Song’, which tugged at the heart-strings in its absolutely harrowing beauty, and a phenomenally electric performance of ‘There There’, which managed to get the whole audience going. Whilst Radiohead managed to get a lot of their ‘King of Limbs’ tracks sounding at arguably their best, their whole concert seemed a little lackluster to a small extent. There was a somewhat polarizing element to the gig due to the set-list Radiohead had opted for, which included many unusual tracks, and few well known tracks. Whilst it was incredibly enjoyable hearing these more unknown tracks from Radiohead, it seemed the rest of the audience didn’t really get it, with their only electric moments being when the band played ‘Karma Police’ and ‘Everything In Its Right Place’. The whole polarizing and dividing aspect of ‘The King of Limbs’ became much more apparent during Radioheads performance as one just had to look around to see how almost uninterested many of the audience members were. Considering the gig was first released as a concert for fans, it seems unusual how the audience didn’t feel like getting themselves involved. Radiohead’s concert might perhaps have been as polarizing as the album it accompanied, but it provided some brilliant insight into some the inner workings of the bands more unusual songs. The band themselves certainly seemed to be enjoying themselves as they launched into phenomenal versions of particular odd tracks. The gigs highlights seem to be the performance of these odd little tracks, which made up a very significant portion of the set-list itself. Perhaps to outsiders this isn’t a clear indication of what Radiohead is capable of, but to those who know and love their music, they should have been able to see the brilliance of the band through their performance. Muse’s performance at Emirates Stadium will always stick out as one of the most majestic, outlandish and incredible live concerts of 2013. 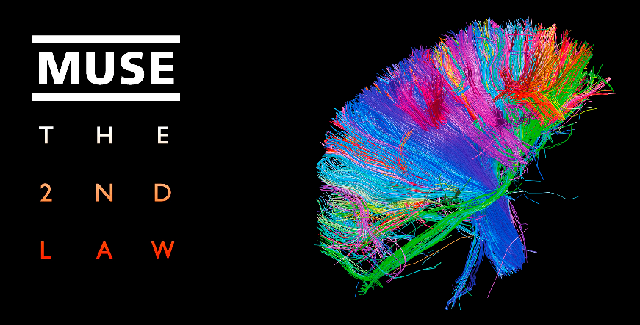 Featuring incredible showmanship from the band, who incorporate great pillars of fire, pre-recorded and live-recorded films and a giant robot named ‘Charles’, we’re reminded of the incredible power of Muse’s live concerts. Muse’ energy seems unmatched as they launch into a wonderful set-list, featuring (better) versions of the songs from their latest album, and wonderful resurrections of tracks spanning their entire career. A few surprises are littered along the way as we’re bombarded with noise and rock by the band. Many of the performances come across as incredible and electric, and Muse display a remarkable energy that never seems to wane at any point. Certain performances stick out due to the incredible visual display being offered by the band. The performance of ‘Animals’ from the bands latest album features wonderful imagery of stock market values, whilst also displaying a film of stock brokers in meeting. As the track descends into the madness of its third section, we see a particular stock broker wandering through a large crowd, and it takes a second or two to realize that it’s in fact not pre-recorded footage, but actually live footage of the stock broker wandering through the actual crowd at the concert. Muse finish their performance of ‘Animals’ by launching into their magnum opus, first having bassist Christopher Wolstenholme play a rendition of Ennio Morricone’s ‘The Man With The Harmonica’ over the now dead stock broker, before the whole band dive headfirst into a pure electric performance of ‘Knights With Cydonia’. Whilst the band certainly manage to show a great range of tracks in their set-list, playing songs that span the bands whole career, a few certain tracks sadly feel a little bit misplaced. The bands’ own cover of Lightning Bolt’s ‘Dracula Mountain’ certainly adds an incredible amount of energy to the whole stage, but there’s a somewhat polarizing element to the performance. The energy is present in the audience, but it feels a little bit more cautious, as though they’re not entirely sure of what they’re meant to be doing, or what the band is even doing themselves. This continues on when the band launch up the old non-album track of ‘Dead Star’, whose aggressive riffs and sound certainly attempt to get the audience going, but it doesn’t seem as universally loved as some of the bands’ other songs. The whole concert feels full of energy, even when the band launch into a more gentle section near the closing end of the gig. The band resurrect ‘Showbiz’s beautiful track ‘Unintended’, which stops the whole audience right in their track, before they go off into a beautiful rendition of ‘Blackout’, featuring acrobatics circling the stage. It’s incredibly beautiful for the most part, but it doesn’t stop the band from launching right back into their pumped up tracks as they come out for an encore. Fan favourites ‘Plug In Baby’ and ‘Starlight’ help to close the whole show, leaving everything with a slightly out-of-breath quality. One can only look back and think of how amazing and full of energy the whole show was, full of theatrics, showmanship and over-the-top performances that certainly showcase Muse as being one of the most important bands in the rock genre today. Slint’s astounding album ‘Spiderland’ sees itself being reissued in a very handsome box-set, featuring a completely new remastered version of the original album, a 90-minute documentary titled ‘Breadcrumb Trail’, documenting the making of the album, and a new bonus disc containing new and unheard material from Slint. This remastered version seems to improve on everything that the original 1991 album offered, with the remastered version of the original album adding clarity and focus to the music, and the bonus disc offering some new insight to a band we sadly never got to see all that much from. The bonus disc of ‘Spiderland (Remastered)’ is certainly of interest to fans of Slint, with the new disc offering both new and unheard tracks, as well as demo versions of many of the tracks featured on ‘Spiderland’. It’s an incredibly interesting album, showcasing the tracks in a very dirty and raw style, with only faint similarities to how they turned out occurring in the demos. It’s great hearing these original songs in their infancy, as well as getting to hear them in wonderful remastered forms. It’s an incredibly generous offering for a remastered version, which hasn’t just updated the original album, but also bundled it together with a lot of previously unheard material that might have never made it to the light of day. The whole package is almost flawless, with there being absolutely nothing wrong with the remastered version of the original album itself. We can perhaps find flaws in the bonus disc of the package, which doesn’t come across as an easy listen, even for fans of Slint. A lot of the tracks are made up of incredibly fuzzy and almost glitchy sounding recordings, with there being none of the finesse that the original album offered. This is perhaps the point, as it’s essentially a bonus disc of other recordings the band happened to also have. It might not be something that can be constantly listened to, but it’s historical context is certainly of interest. The remastering of Slint’s ‘Spiderland’ is nothing less of a joy. It’s wonderful hearing such an important album sounding so clearly and brilliantly as it does now. It’s certainly enjoyable as well hearing the bonus disc, which shows us a great amount of insight into the inner workings of Slint as a band, showing us the development of many of the tracks featured on ‘Spiderland’. Considering it seemed like we’d never get to hear anything from Slint again, it’s a definite joy to hear something new, even if it is in such a raw format. Once again, we’re reminded of the important of ‘Spiderland’, an album that still holds to this very day. 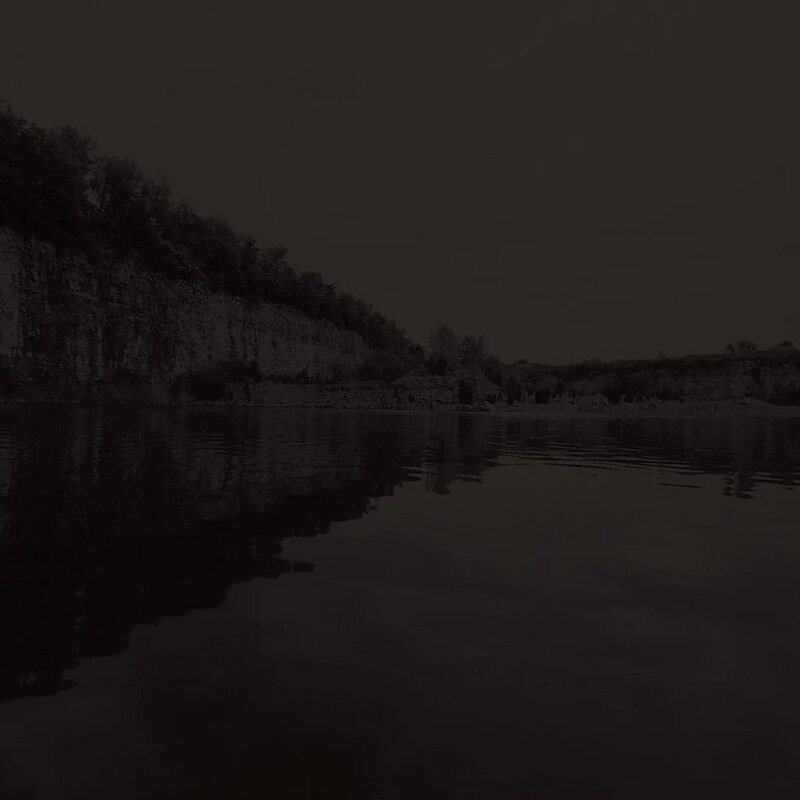 Slint’s remastered edition of ‘Spiderland’ is out now. 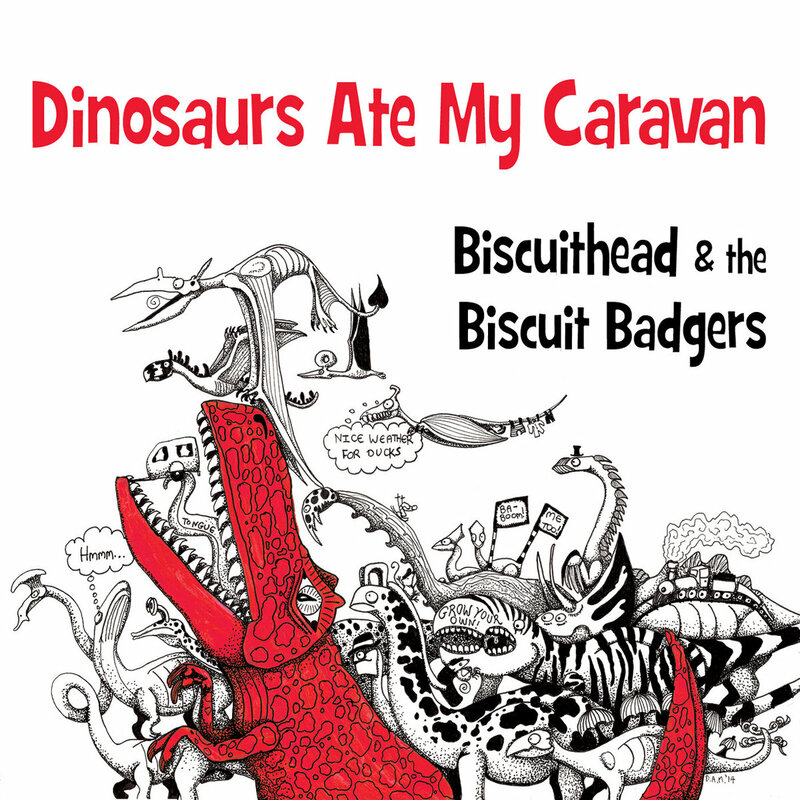 Biscuithead & The Biscuit Badgers offer up their latest zany, crazy and comedic album titled ‘Dinosaurs Ate My Caravan’. The new album seems Biscuithead & The Biscuit Badgers tackling the really difficult and controversial subjects this time, such as tweed jackets, having tea, being a certain shape, David Attenborough, soy milk and cheese. It seems no subject is too silly or surreal for Biscuithead & The Biscuit Badgers, who manage to present some amusing and sometimes witty little tunes about the most absurd of subjects. For the most part it’s all rather interesting though when it comes down to a complete album package, ‘Dinosaurs Ate My Caravan’ is sadly lacking. The main appeal of Biscuithead & The Biscuit Badgers as a band is their presentation of such varied subjects. The band seem to find just about anything to write a song about, and manage to do so rather well and cohesively. The band manage to make their song-writing process seem really easy, giving merit to themselves as song-writers and musicians. On top of everything though is how amusing the songs themselves are, which are at times so silly and sometimes rather funny. It’s certainly enjoyable to hear music that really knows how to not take itself seriously. Whilst there’s certainly some elements to enjoy from Biscuithead & The Biscuit Badgers’ latest album, it seems the album is severely let down on a number of counts. The main glaring problem is how nearly every song on the album sounds so similar to each other, featuring the same instrumental styles and same vocal styles. The whole result makes a large portion of the tracks on the album completely forgettable, with the lyrics not even being enough to save the songs at all. It feels like a real let down from the band, who clearly have a lot to offer, but sadly haven’t done so on their latest record. ‘Dinosaurs Ate My Caravan’ has some merits to it, but the whole album feels incredibly thin on the ground to be worthy of any recognition. The few songs on the album that do work don’t even do enough to save the album, making the problems on the album incredibly obvious. To an extent, the new album seems to suggest that Biscuithead & The Biscuit Badgers are simply a one-trick pony, whose only redeeming factor is in their ability to take random subjects and form amusing songs out of them. It’s a good gimmick, though one they could be doing so much more with. Biscuithead & The Biscuit Badgers’ latest album ‘Dinosaurs Ate My Caravan’ is out now. Made up of two individuals named Jon & Anna, Jona Overground present their debut album ‘On The Outside’. The new album showcases Jona Overground’s gentle yet enjoyable style of melodic pop music. On their new album, Jona Overground seem to really push out all their strengths, though in a surprisingly subtle and effective way. There’s a somewhat reserved quality to ‘On The Outside’, giving the whole album a lovely and warm feeling to it all. There’s a fair amount to enjoy from Jona Overground, who show that they certainly have a lot of talent as pop musicians. ‘On The Outside’ benefits from its reserved and gentle presentation, making the album feel incredibly appealing and just lovely from start to finish. Anna’s vocal style works wonderfully with the instrumentals used to build up the songs, somehow managing to intertwine itself into the music, without forcing itself forward. It’s lovely and understated and it’s here where we find the really appealing elements of Jona Overground’s music. Everything feels like it’s all been created out of a love for music, rather than a means to make money. If any criticism is to be found, it is arguably within how the songs on the album mostly sound similar to each other, and don’t really demonstrate that much of an interesting range from the band. Most tracks seem to meander around similar sounding instrumentals and sadly similar sounding vocal styles, with only the lyrics being of any notable difference. The album itself isn’t really dominated by this flaw, though its appearance sadly does put a dampener on the overall albums effect, which sadly isn’t as strong as it could have possibly been. Whilst one or two tracks don’t really step up to the mark of the album, the whole album experience still comes across as a very enjoyable one, and one that lovers of contemporary pop music will find a lot to enjoy from. Jona Overground have a lovely style to their music, and their partnership is one that clearly works well, with each member adding great amounts to the music itself. At times, it might sound like somewhat typical pop music, but it’s in how Jona Overground express their music as their own do we see the strengths to their music. Jona Overground’s debut album ‘On The Outside’ is out now. Venetian Snares Aaron Funk teams up with Joanne Pollock, working under the name Poemss for the release of their debut self-titled album. The new album sees the two musicians and song-writers teaming up to create an incredibly unusual and eclectic mix of synth-pop, dream-pop and perhaps trip-hop, resulting in a very odd yet satisfying album experience. ‘Poemss’ seems to float along slowly around a mix of unusual and odd instrumentals, accompanied by very peculiar vocals that work well for some odd reason. It’s perhaps very inaccessible music, though there’s a great amount to enjoy from these two artists. ‘Poemss’ doesn’t come across as an album that fits into any one category. At times it sounds like typical synth-pop, but every now and then something will slowly crawl its way in, throwing everything into a new dimension. What seems to make ‘Poemss’ work as an album is how everything flows incredibly naturally, whilst the music itself sounds very unusual and almost unnatural. The album seems to demonstrate elements that work incredibly well together, whilst still contrasting with each other in obvious ways. At the forefront of it all is the very unusual vocal style, which ranges from Funk’s deep and dark baritone whispers, and Pollock’s wavy and airy calls. There’s a lot happening on ‘Poemss’, which at times can be a little overbearing and troubling at times. As an album it all seems to work very well, but the main problem is that the songs featured on the album are either really good, or not worth bothering with at all. There’s no middle ground in many of the songs, which feels weird and unusual. Certain tracks on the album don’t seem to live up to the album itself, resulting in sadly disappointing experience from time to time. Luckily, the majority of the album is very enjoyable, though it’s still marred by the inclusion of a few weak tracks. Poemss have a very weird and unusual style in their own branch of synth-pop music. At times, it might feel a little inaccessible and perhaps too weird, but there’s still something very satisfying about the whole thing. ‘Poemss’ seems to come across as an album that will be very polarizing, either being absolutely adored by certain groups of people or hated by others. It’s still an enjoyable album though, and if one finds themselves enjoying even one of the tracks being presented by the band, then they’ll most likely enjoy the whole album. Yes, it’s weird and unusual, but that’s never usually a bad thing. If anything it makes it all more interesting and exciting. Poemss debut album ‘Poemss’ is out now. New Zealand post-rockers Kerretta storm into the scene with their third full-length studio album ‘Pirohia’. The new album sees the band expanding upon their many strengths, enveloping their listeners in a grand post-rock album experience. It is easy to see the many strengths in the band’s latest album, which seems to just get better and better with each song they present. Whilst the album itself might demonstrate some rather typical post-rock elements from time to time, the whole album seems to come across as one big impressive experience, showcasing post-rock music at its best. Kerretta’s strengths seem to come from their understanding of shifting dynamics, how navigating from quiet build-ups to loud crescendos can equate to some really enjoyable music. There’s real craftsmanship in the songs on the album, which show careful consideration to the movement of the songs themselves, and how they come across when they build up and slow down. What’s interesting is how Kerretta manage to present their own branch of post-rock music as their own, rather than just repeating the strengths of many already-existing post-rock bands. There’s an incredible amount to enjoy here, with Kerretta coming across as an incredibly strong band. As an album, there seems to be little that’s wrong with ‘Pirohia’. The instrumentals of the various songs all showcase some great ideas, many of which have been presented in a brilliant way. 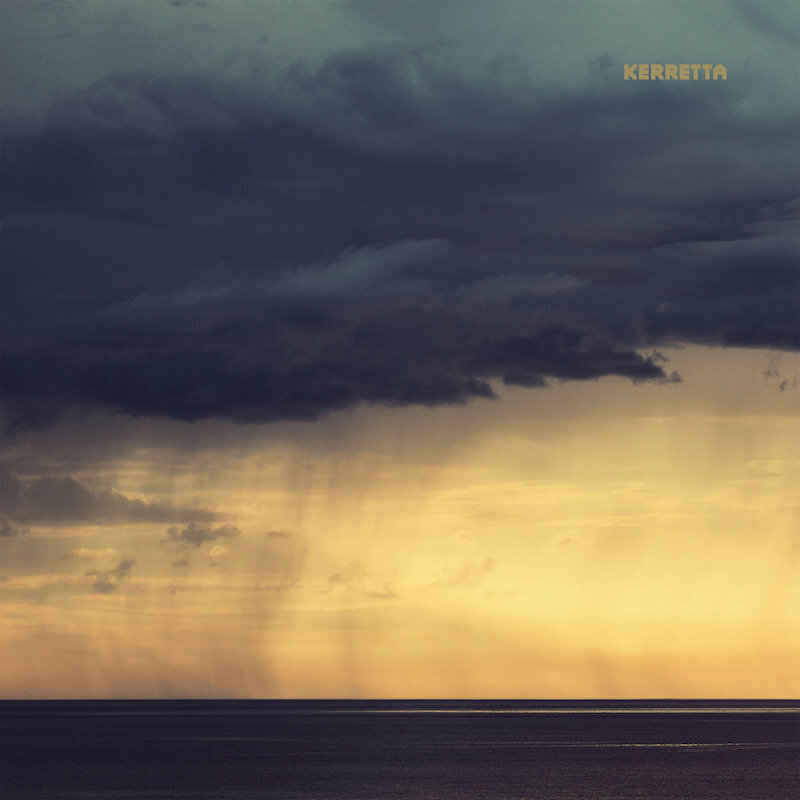 At times, Kerretta’s style seems to border on the typical post-rock style, giving a sense that the band haven’t added all that much into their own style of the genre. Whilst a great number of the songs on the album are brilliant, a few seem to just border on typical ‘cresendocore’ styles, with the band not adding enough into it to really make it work. Thankfully though, Kerretta manage to inject enough brilliance into the album as a whole to overlook any flaws. Kerretta’s ‘Pirohia’ comes across as one of the more enjoyable post-rock album experiences of this year. There’s enough in the music itself to give it a fresh and almost original quality (at least in some of the tracks). The album itself works brilliantly as a whole, featuring a wonderful and incredibly dynamic flow as it navigates from track to track. Kerretta seem to have a great post-rock style going for them, and we can only hope that this garners them the attention that they really deserve, as they are indeed one of the better post-rock bands out there. Kerretta’s third studio album ‘Pirohia’ is set for release on the 5th September 2014.